I met parents whose children had been playing in the Year 7 Inter-form Hockey and Basketball. 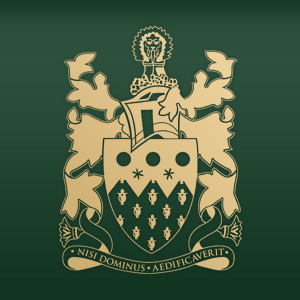 I knew some parents whose children who had been at Little Green. I met Governors, staff and stall holders. Some of the stall holders come every year. For others it was the first time they had come. I had the opportunity to see the changes that had happened in the dining room areas. 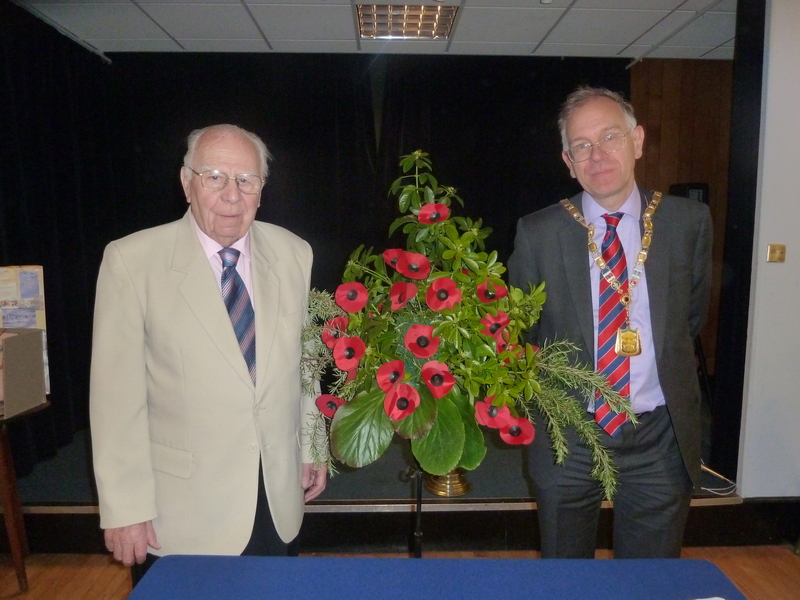 It was the 90th anniversary of the Croxley Green Women’s Section. 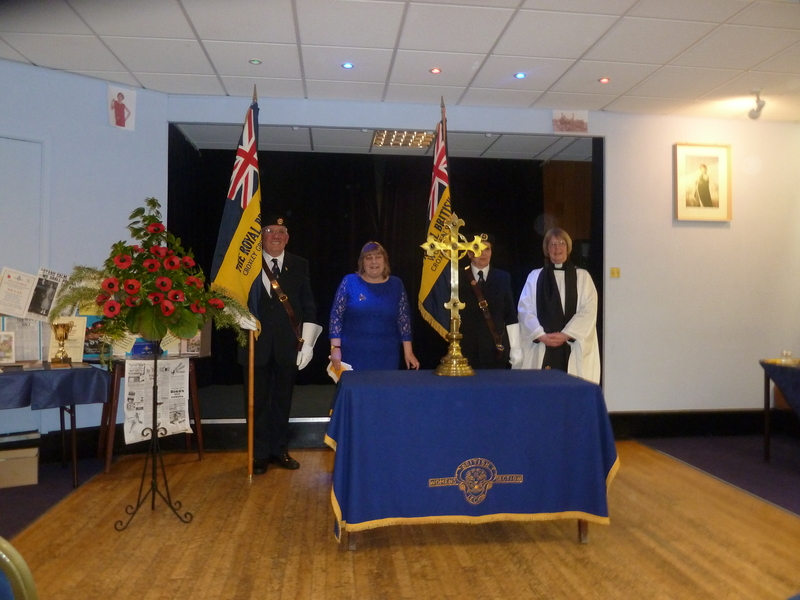 The Service was led by Miriam Mugan, Chaplain to the Croxley Green British Legion and Vicar of All Saints Church, Croxley Green. 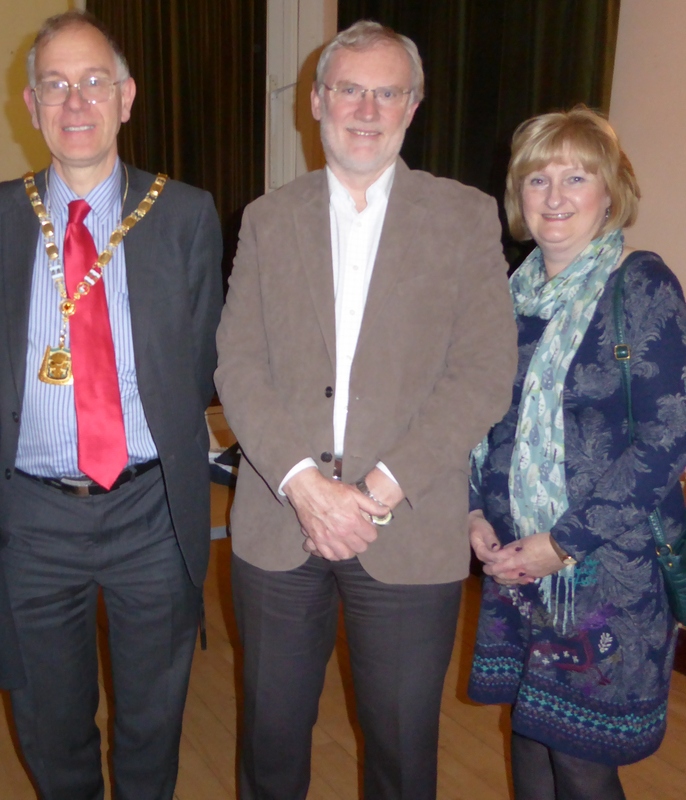 Other guests included Dorothy Thornhill, elected Mayor of Watford. 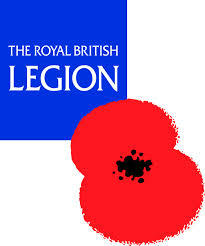 There is not a British Legion in Watford anymore. The Bible reading was by Barbara Todd, County Chairman of the Women’s Section. Within the service there was the dedication of the new Croxley Green Women’s Section banner. I also had the privilege of meeting Milsom Watkins, who has organised many things over a fifty year period. After the service there was the opportunity for photos and chat. After that there was an old time musical entertainment for about an hour. I left before the Fish and Chip supper as I was going to collect my wife and go to the Croxley Green Parish Council Barn Dance. Watching the England Game, I was with them when the first of 4 goals went in. I have now visited Youth Projects run by the County Council in several places around Three Rivers. My contact for all of these has been Kips Green. We met parents, pupils and staff before the production begun. 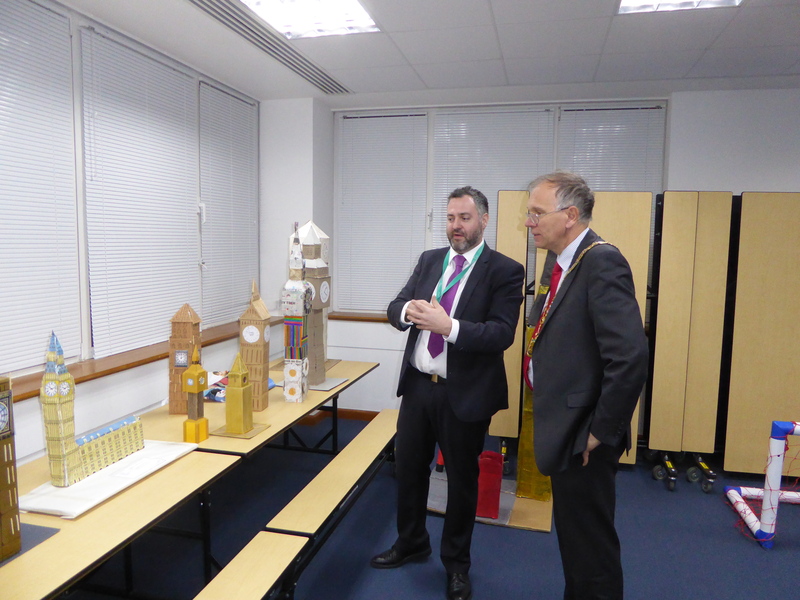 We also saw models that pupils had made of the Queen Elizabeth II Clock Tower in a voluntary completion. As I read in Order! Order!, Big Ben is only the main bell. We also saw some artistic inventions which pupils had made and a business plan of how they could sell them. My wife knew a number of year 7 & year 8 pupils who were performing as they had been at her primary school. The hard work in rehearsals paid off. Like the parents and other family members, we had an enjoyable evening. The introduction of Miss Rickmansworth 2015. They were all pupils at St. Mary’s School. My sister had been a pupil of this school, when it met in the High Street. I will meet them all again during the Parade at Rickmansworth Week. 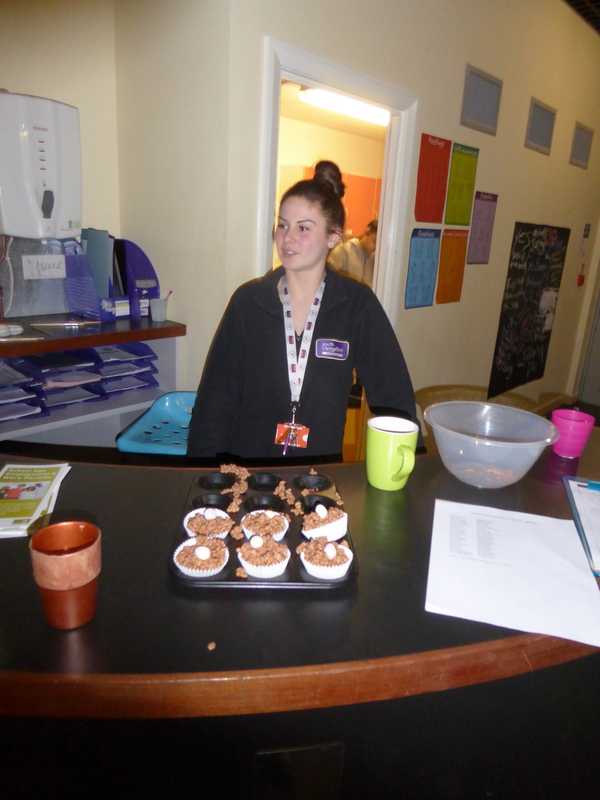 After the meeting there was the opportunity to socialise with refreshments.